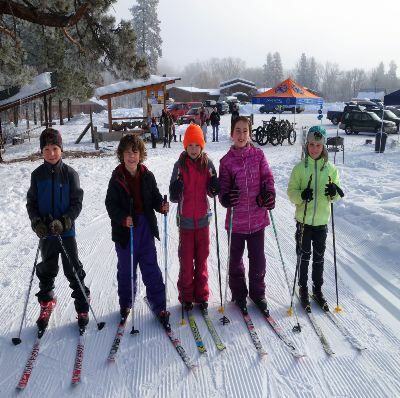 Kids 17 & under Ski FREE and compete in all Methow Trails events for FREE! Methow Trails proudly offers free cross-country skiing on our trails to all children 17 and younger every day! Don't miss this opportunity to introduce your family to the joy of Nordic skiing. Kids can learn to cross-country ski almost as soon as they can walk. With the right equipment and a little patience, your whole family can enjoy a day in the tracks together. Kids are also welcome to compete in all Methow Trail events for free. This too is a great opportunity to introduce your children to competition and sportsmanship. "StorySki" trails are 1-kilometer cross-country ski loops lined with the stories of delightful children's books: Polar Opposites (Chickadee Trailhead), Polar Polka (Spring Creek Ranch Loop) and Totem Tale (Mazama Trailhead). 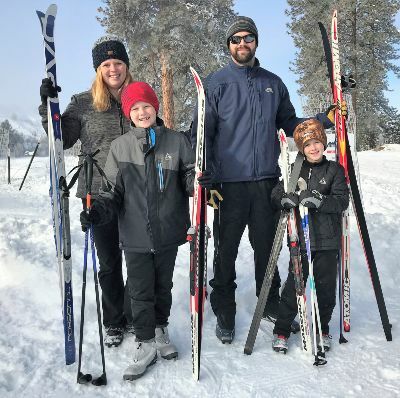 The ski trails allow young skiers and their families to ski while reading an entire book and gliding through the magic of winter in the Methow Valley. 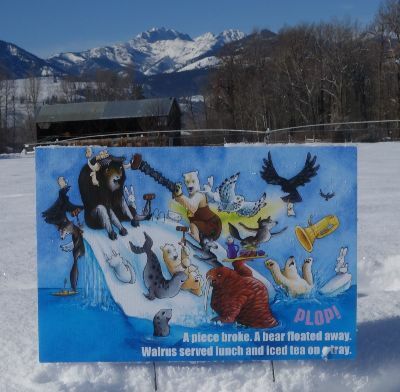 18 colorful story-panels usher kids along the trails for a self-guided storybook tour. All Wild Side and StorySki trails are made possible by local children's book author and illustrator, Erik Brooks. "Wild Side" trails appeal to slightly older kids (6-12) and blend nature facts with playful skill building on skis through engaging challenges that the panels suggest . Wild Side panels are found on the Mazama trails on Inn Loop and out of the Town Trailhead in Winthrop. 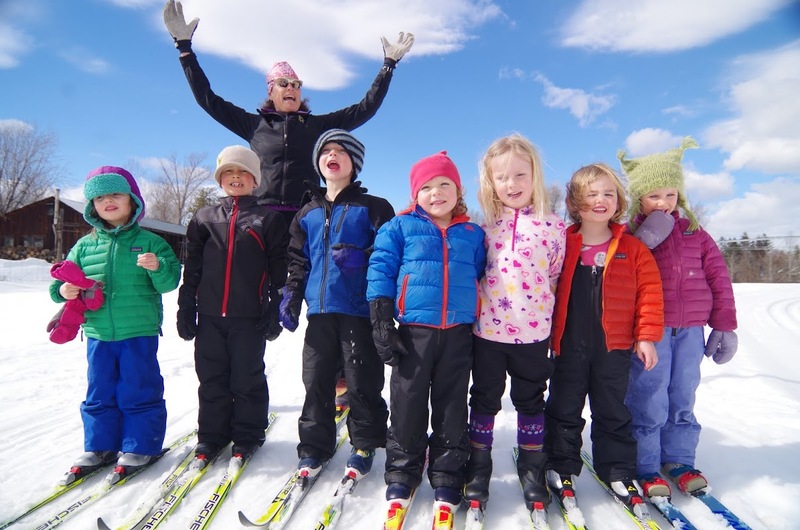 StorySki and Wild Side programs are funded, in part, by a grant from the Methow Valley Fund of the Community Foundation of North Central Washington and by Trail's End Bookstore in Winthrop. Erik Brooks is the illustrator of many books for children, including several by esteemed authors Betsy Byars, Shirley Climo, and James Cross Giblin. He is the author/illustrator of Polar Opposites; Slow Days; Fast Friends; Octavius Bloom and the House of Doom; and Children's Choices Award Winner The Practically Perfect Pajamas. His illustrated books include Cat Diaries; Did Fleming Rescue Churchill? ; Boo's Surprise; Polar Polka; Dog Diaries; Boo's Dinosaur; What Are You Hungry For? ; Totem Tale: A Tall Story from Alaska; and Monkey Business: Stories from Around the World. More information on Erik can be found at www.erikbrooks.com. Wild Side panels (in Mazama and Winthrop) combine learning about the Methow Valley ecology with ski skills and fun challenges. Cross country skiing makes for unforgettable family fun! If you have a really little one, try a pulk! Child ski carriages come in lots of different shapes and sizes these days, and they make it easy and comfortable for moms and dads to get out on the trail while the little one takes an afternoon snooze. Pulks/ski trailers can be rented at most ski rental shops. Call ahead to check availability.